The real value for a researcher lays in the process of designing his/her roadmap. The question about which ‘vehicle’ to use, is secondary. It was in a coffee bar at Munich airport, where I first met Professor Michael John Mulvany — last year on 30th May 2016. We had made a plan to meet in the Airport since he was on his way to advise at the SMARTER training network where we had just given our career development workshop. 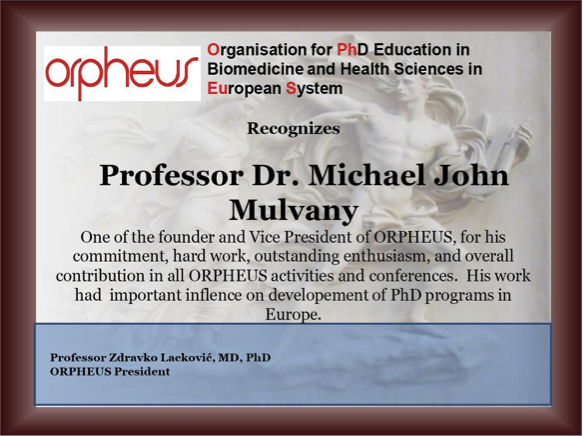 Professor Mulvany is the former vice-president of ORPHEUS, the European network for higher education institutes and a leading figure in the standardisation of today’s European bio-medics and health sciences PhD programs. He is now Chair of the ORPHEUS Labelling Board. That meeting made an impression on me. He was someone with lots of experience in PhD training and had obviously thought about it a lot. So, I arranged a time a few months later to conduct a more in depth interview. Can you estimate how many students you have mentored? He has supervised twenty PhD students, 20-30 research students, and was the head of the Aarhus University Graduate school where over ten years he was involved in the career development of more than 1.000 PhD students. What is most important in the career of a young investigator? Young students come to graduate school because they are interested in doing research. The most important thing for them to achieve is to reach a level of work that is self-actualising. Too often that does not happen because priorities get set wrongly. What they do after their training is a much bigger question. For those who pursue MD/PhD training, what happens next is not such big question. If they don’t go into research, they end up in the clinic for a great but tough career. When you don’t have the clinical work backup, the search for a good position often involves lots of worry and a feeling of insecurity. Should students be deciding early in their training to pursue academic or non academic career? Only about half of them end up doing research. Students need to be aware of this situation. It also has to be recognized by PhD students that only a small number of them will have the opportunity to end up in an academic position. There is a NIH supported career development program, called ASPIRE. The impact of this initiative at Vanderbilt University is interesting. It challenges students to think about what they want to do right from the start on day 1. When Professor Mulvany had the chance to talk to those students, and asked them if they planned to go into academia, only 20 percent did. The range of career paths of the students from the ASPIRE program follow illustrate nicely why pursuing a PhD is a valuable career step that can lead to many different career paths. In Europe, everyone wants to become a professor. The ASPIRE program induces people to set very well defined long and short term objectives. This reduces their level of uncertainty and helps them get over a lack of confidence that can be such an important obstacle. Should they stay focussed on their research? 15 percent of a PhD student’s time should be spent on activities not directly related to their research project. This could be going to conferences and (other) general things but also specific courses and workshops. No matter what you are planning to do, this is important. It does not matter if you are pursuing an academic career or one in industry. On the other hand, it could be a conflict to build your non-academic career while you are trying to deliver academic research. What would you see as an appropriate educational program? Are there still challenges or gaps that we can learn from? If you want to become a great researcher it important to develop transferable skills. Doing a PhD is not just about sitting in a laboratory. Many supervisors think that not being in the lab is a waste of time, and anything else is just not what students are supposed to be doing. That is not the view of Professor Mulvany! It must be accepted that 15 % of the time should be spent on activities other than research. This is an aspect of training that has prominence in the objectives and plans for ORPHEUS. How would you describe the changes that occurred over the years regarding career development for researchers? The momentum is such that a tremendous effort is done to focus much more on the career opportunities in many doctoral schools. In Aarhus University there is a long tradition of providing courses on what to do after you graduate. The tendency has been to reduce the number of available workshops and make sure the ones left are the most relevant. Networking is also very much encouraged as a means of maintaining interaction across the university and between disciplines. A student cannot learn how to make a meaningful contribution to society only by pipetting. If supervisors want to have many students, they need to make sure that students have time to do additional things to develop skills they need subsequently in the careers. Is there a big difference in the transferable skills necessary today than at the time you were a PhD student? With the internet and and the explosion of the amount of data available obtaining a PhD today versus 30 years ago is almost incomparable. There also seems to be more pressure to complete increasingly demanding tasks. Would you see benefits in students convincing their doctoral school for specific training? In many institutes, unfortunately, curriculum development is still a top-down process. Student involvement is critical. The benefits of including students are clear. It is Professor Mulvany’s experience that most of the good and constructive ideas for improvement of PhD training come from the students. Some of the most important changes in the training culture happened because of yearly PhD-day and monthly meetings for students where specific questions could be asked to faculty. Such a concept makes the students more enthusiastic about research and training. This approach is very well accepted in Scandinavia. It is really important that students have a good organization, such as a PhD association. What aspects of the work you do makes you the most enthusiastic about the current state of PhD training? First, the ORPHEUS organisation is something very interesting and important to him because it has allowed, and will continue to allow there to be discussions on PhD training across Europe as well as globally. Such interaction between different countries allows us all learn from each other and create something that is better than the sum of the parts. This is true for developed and less developed countries. For instance, in Ukraine and Georgia, they are trying to develop PhD programs using the best practices that have been developed within ORPHEUS. This level of commitment and the fact that the needs of the students are the very heart of the organisation make Professor Mulvany very excited. Secondly, PhD training is a great way to develop a society. Lots of the most pressing challenges have been solved by people with a PhD. This means that if you have a PhD you have a good chance to get a job in which you can make a meaningful contribution to society. What accomplishment has made you very proud? 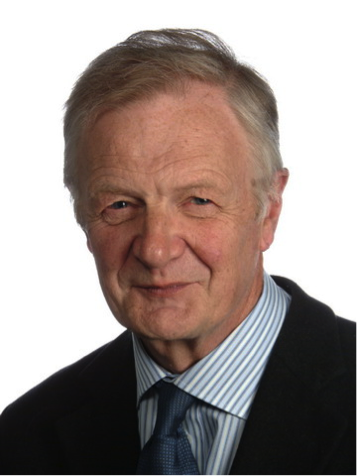 Professor Mulvany was trained as an engineer, and then subsequently in vascular research and hypertension. It worked out well, but his PhD took about 8-9 years. That would be quite unacceptable today. He believes that there would be clear benefits if PhD training lasted longer and there was more emphasis on developing skills other than those needed to fine-tune a niche research topic. Often students start without any idea of what they are going to do and need six months to a year to figure it out. In that scenario a PhD of 3 years is hopeless. There are ongoing discussions at Aarhus University over the length of PhD training. You have to make sure that the PhD training program is well organised. If there is good preparation, where students can start their projects from day 1 then 3 years is just about ok.
PhD students should only start when they have an approved and detailed project. Have you got examples where the pressure for publishing impacted the quality of research? Yes, absolutely. Writing and getting a paper published is an important part of a PhD. In practice that means it is probably not possible to publish in a high impact factor journal during the lifespan of a PhD. Personally, I would prefer that a PhD had 2-3 papers in lower impact journals than 1 paper in Nature, because papers in Nature are probably written entirely by the supervisors. If it is in lower impact factor journal, the student can actually work on the requirements and him or herself reviews the input from the referees. The supervisor, however, wants a paper in Nature and often has 3-4 PhD students working on that paper. It is a side effect of the drive and ambition to get big departmental grants. But it is not ideal for PhD training. It is a challenge that still needs to be solved. What still surprises you a lot? So many young people want to do research projects. It is stunning. Having a huge amount of new areas in personal development and envisioning the bigger picture is a fantastic opportunity to have a societal impact. He is a bit concerned that at some places they do not have the opportunity to achieve and develop themselves as much as they could. It is very important that graduate schools follow up on the careers of their students. That kind of data is really not available. However VITAE, an interesting organisation that focusses on realising the potential of researchers, is putting effort into in monitoring these numbers. Such efforts help to create more awareness and help steer PhD training programs in the right direction.